A total number of 6,500 students will graduate at the Durban University of Technology this autumn. The University will host 23 ceremonies during the graduation season. On May 11, 2018, during the Durban Campus graduation ceremony on the Steve Biko Campus, DUT will confer an honorary Doctor of Visual and Performing Arts degree to one of South Africa’s most treasured Ndebele traditional artist, Dr Esther Mahlangu. 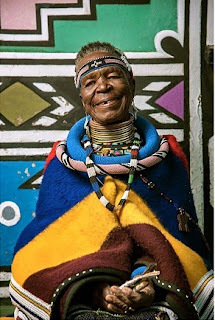 Dr Mahlangu is known for her creativity using the Ndebele bold colours in her contemporary paintings highlighting her heritage. The University will host a gala dinner for Dr Mahlangu’s gala dinner at the Royal Hotel, Durban.